I reviewed House Built on Ashes: A Memoir (University of Oklahoma Press) by South Texas's José Antonio Rodríguez for Lone Star Literary Life. This is an engaging memoir by a writer with a fine eye for detail. Rodríguez uses small details to create a large story. 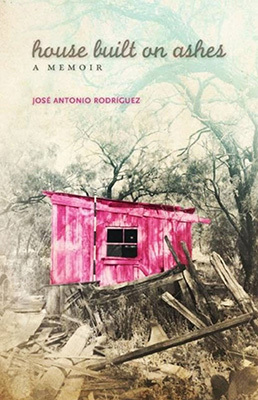 House Built on Ashes: A Memoir by José Antonio Rodríguez is the twentieth volume in the University of Oklahoma Press’s “Chicana & Chicano Visions of the Américas” series, the editorial board of which boasts Rudolfo Anaya, Denise Chávez, and Rolando Hinojosa-Smith, among others. House Built on Ashes is Rodríguez’s account of a creative, sensitive, intelligent child growing up not quite here and not quite there; realizing he’s gay as he begins to question the logic of antiquated customs, chafing against a macho culture; learning that there’s no such thing as a small humiliation, and that dignity is essential but costly.